There's a small discount at Danny's if you go there for a meal. I of my friends used it if we happen to be out. Another friend had their Medicare supplement and it seemed to be quite good,her copays for IT were covered by it but I think it was pricey. Does anyone have an AARP membership? I have a chance to get one for $12 for a year. What discounts have you gotten that you were really able to benefit from? I don't want to shell out $12 and just get a magazine in the mail. But - if there are discounts I will really use, that is different. 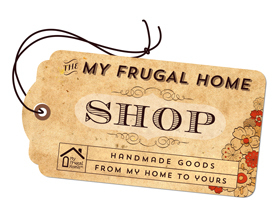 I'm going to look on the website - buy my frugal friends are the BEST source of info. Thank you! If you dont want mail from them every week, don’t buy it. I got the free Walgreens scription and 2 yrs later still get mail from them, mostly advertising their insurance. Thank you for the heads up - I hate junk mail - such a waste! Since you are under age 65, I don’t think you have to worry about insurance advertisements. I never got any of that.